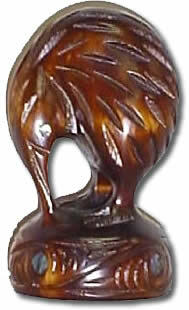 Why not buy one of these authentic New Zealand Souvenir Carvings? They are suitable for anniversaries, birthdays, weddings, corporate gifts and many other occasions. Click the 'gift wrapping' button and we will gift wrap one of these precious works of art for you and include a wonderful gift card. We can then send it directly to the recipient. The gifts on this page would be our most sought after and have proved the most popular here in store. 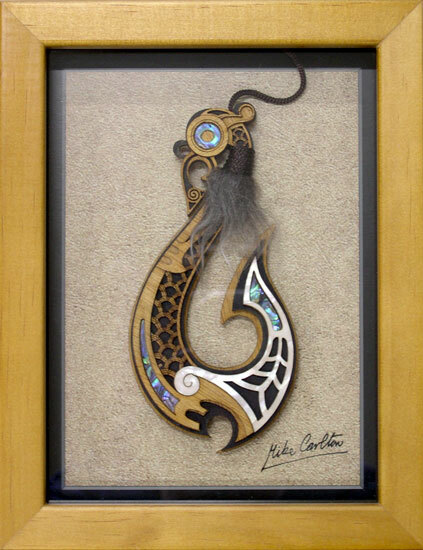 Mike Carlton is of Ngati Whakaue descent. These artworks are a contemporary representation of Te Matau a Maui. The below are laser carved engravings. 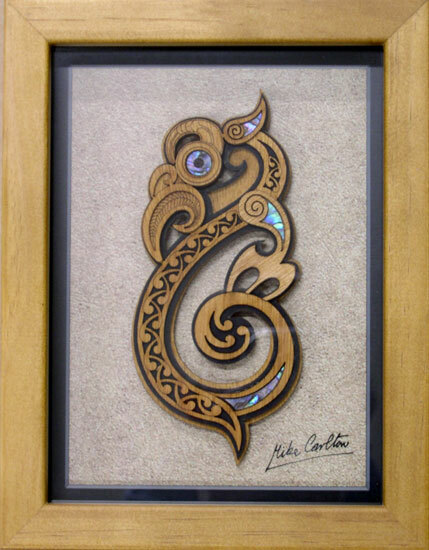 Crafted from New Zealand Kauri and embellished with Paua shell. 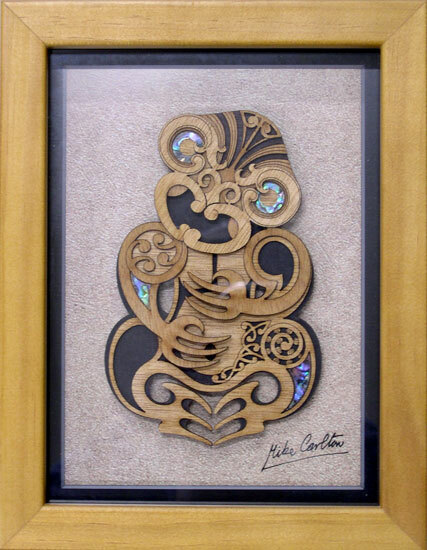 Each of the below Maori carvings is in a thick wooden frame (3cm) with a perspex front. We go to extra lengths to ensure it arrives safely while being delivered anywhere in the world. The kiwi is a flightless nocturnal bird which is native to New Zealand. There are two types of Kiwi the brown kiwi and the spotted kiwi. The kiwi is endangered due to humans clearing their bush habitat, introduced predators that prey on the kiwi and their eggs, opossum traps and cars on the highways at night. The kiwi is a unique bird and can not fly, they rely on their alertness and very strong legs with claw like feet to protect themselves against predators. The kiwi has a long beck with nostrils on the end and as it can not rely on sight it has highly developed sense of smell allowing it to find and feed on small insects in the undergrowth of the bush at night. The kiwi lays the largest egg in relation to its body size than any other bird. (The kiwi grows to be the approximate size of a chicken.) In New Zealand there are several kiwi sanctuaries and breeding programmes dedicated to ensuring the survival of this unique endangered bird. The guardian spirit plays an important role in the Maori world. To the Maori every person on earth has a guardian spirit which can be described as an unseen light surrounding each individual. During life this guardian is a protector from evil and untimely accident. At death the guardian guides the spirit of the departed person safely to a spiritual doorway where it is reunited with the ancestors from the ancient homeland. 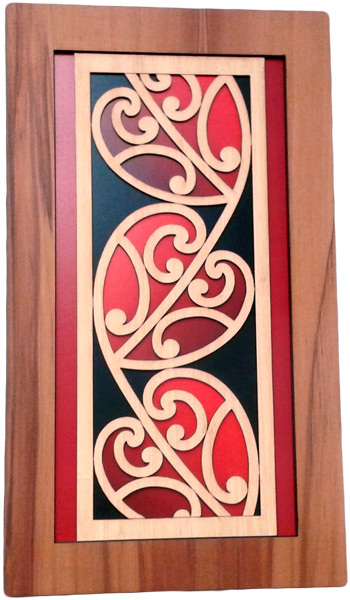 Te Manaia are usually depicted in side profile symbolising their role as messengers. They normally have the head of a bird, the body of a man, and the tail of a fish, symbolic of the balance they have between the realms. The three fingers and toes have varied tribal meanings. To some they represent birth, life and death, to others they represent the three baskets of knowledge, and yet to others faith, hope and love. Sometimes Te Manaia is depicted with a forth finger symbolising the afterlife. The origins of Tiki are uncertain, but throughout Maoridom he is acknowledged as the first man and that he came from the stars. He is sometimes depicted as an amphibious person with large fish like eyes and webbed feet, and considered the teacher of all things. 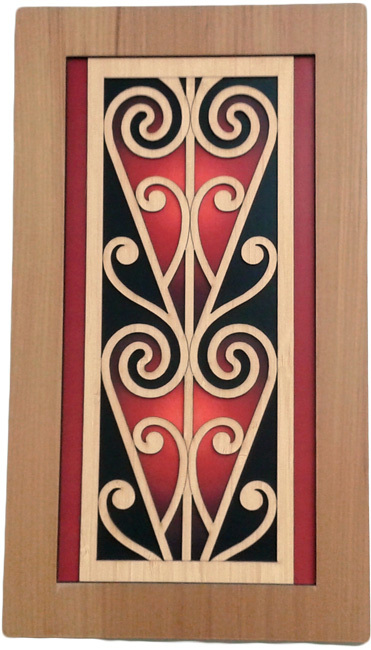 In some accounts of ancient Maori folklore "Tiki" was the first man created by Tane (God of forests and men). Tiki formed woman from the earth after admiring his own reflection in the water. Hei-Tiki were regarded as precious treasures (Taonga) and were predominantly carved from greenstone (Pounamu). It is thought that the diverse forms of "Tiki" were the result of the carver being constrained by the shape of his stone as it was extremely hard and difficult to shape with primitive grinding tools. "Hei-Tike" had spiritual significance to Maori. They were passed down from generation to generation and it was believed that they acquired the importance and power (Mana) of each of the passed ancestors (Tipuna) to have worn it. The colonising Europeans assumed the Hei-Tiki worn as a pendant by Maori woman was primarily a fertility symbol and they became sought after as a valuable trading commodity. The Maori always a good trader turned many of their obsolete greenstone adzes into Hei-Tiki to barter with. In ancient Maori folklore the exploits of Maui stand unrivalled. On one such adventure Maui stowed away on the Waka (Canoe), when his four older brothers departed on a fishing expedition. When they were far from land Maui revealed himself and convinced his brothers to paddle further out to the deepest sea where the fish would be in abundance. With his enchanted fish hook which he had fashioned from the jawbone of his great grandmother, with its Paua shell eyes to see in the depths of the sea and tuft of dog hair to keep the hook warm in the freezing depths and to retain the scent of the bait. Maui cast his fishing line. As soon as his hook descended to the bottom of the ocean floor it was devoured by a giant fish. The ocean foamed and boiled as Maui struggled with all his strength to land the fish. Finally the fish yielded and floated to the surface. Te Ika-a-Maui more commonly known as the North Island of New Zealand had arisen in the south pacific ocean. 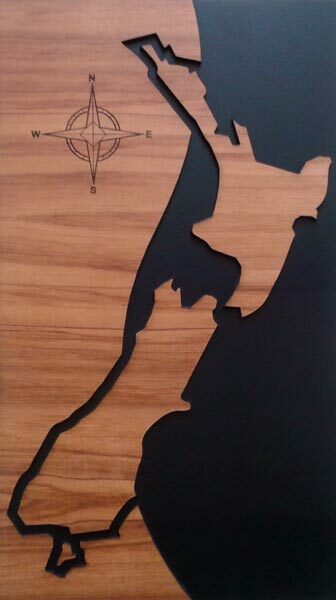 Te Waka a Maui is known as the South Island and Te Punga a Maui as Stewart Island. The image of the silver fern is widely representitive of New Zealand. It is an image to which all New Zealanders relate and is a powerful and emotional symbol of inspiration. 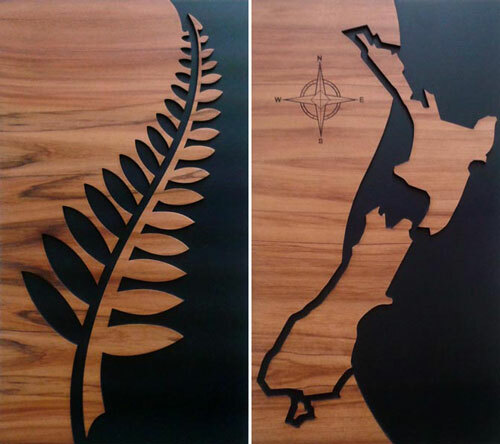 The symbol comes from the New Zealand Cyathea Dealbata (locally known as Ponga). The leaves are dark green on the upper side and silver underneath. Maori laid the fern silver side up, as track markers. In the dark they were lit up by burning torches. It is often used by Maori as shelter and bedding for sleeping on due to the thin texture of the hair. 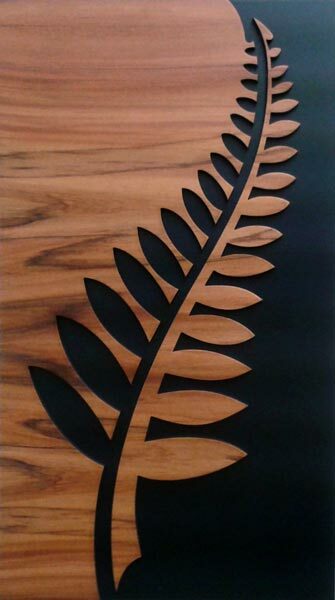 The silver fern is an iconic symbol of New Zealand and has been used as the countries sproting emblem since 1888, often displayed on the uniforms of New Zealands national sports teams, most notibly The All Blacks rugby and the Silver Ferns Netball teams. 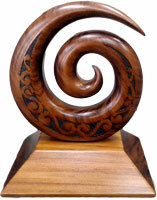 To the Maori people of New Zealand the Koru is a tohu (symbol) of divine inspiration and nature. 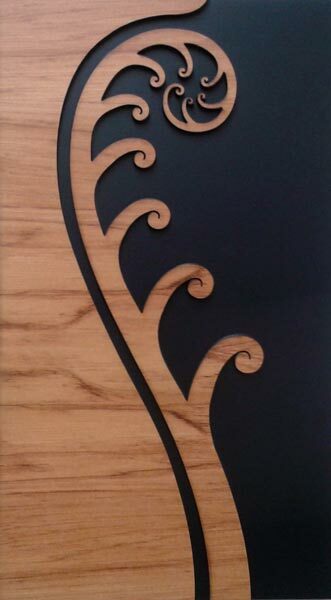 It is a symbol that represents and unfrling silver fern frond, New Zealands most iconic native plant. The fern shoot has a tip that remains curled within itself that begins to unfold as it grows to become the fern leaf. 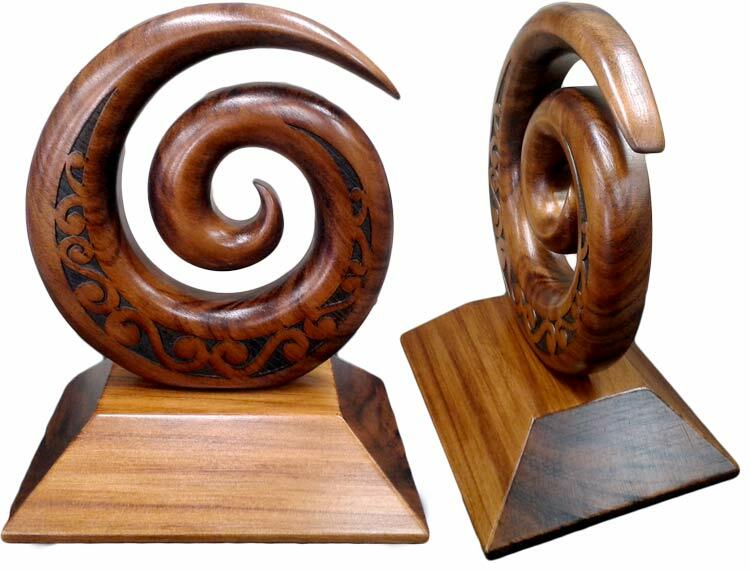 The Koru symbol is used extensively in Maori art and can be seen in interlocking complex patterns in jewellery, woodcarvings and in all manner of design concepts. The Koru symbolises new life, growth, stregnth and peace. It is an integral symbol in Maori art, carving and tattoos. The circular shape of the Koru helps to convey the idea of perpetual movement while the inner coil suggests a return to the point of origin. The term is used to describe an artformtypically used by Maori to adorn the rafters (heke) of their meeting houses (wharenui). The designs generally comprise repetitive symetrical petterns and predominently based on the shape of the unfrling fern fron (koru). 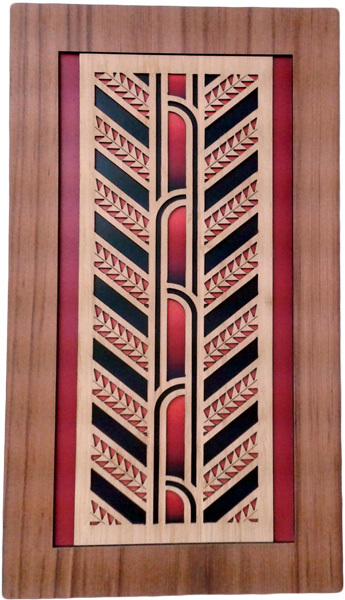 The patterns varied tribally and thus regionally thoughout New Zealand (Aotearoa). The patterns are often ascribed meanings based on the shape they emulate, eg shark fin = to fight with power and strength, fish scale = to protect or shield, canoe (waka) cutting waves = resolve strength of purpose. 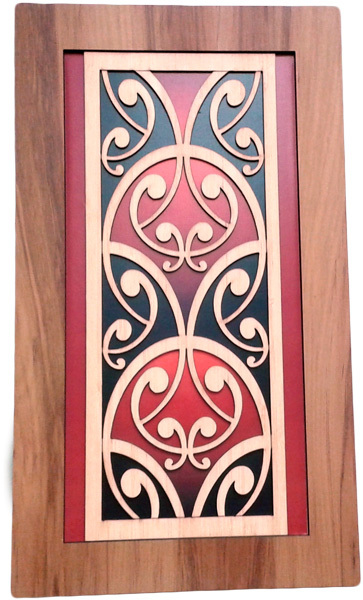 The symetry of the designs and their visual ballance are often regared as a reflection of the princiliples of balance in Maori life. Ie Light - Dark, Male - Female, Good - Bad, Life - Death. Because of their placement and association within the meeting house (wharenui) Kowhaiwhai are intrinsically linked to their ancestors. The story of succeeding generations told through the subtle purmutations of line and curve. Some suggest that Kowhaiwhai were an early form of writing, whereby the various shapes acted as memory markers to trigger recollections of past events or individuals.